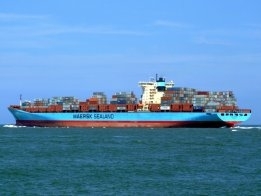 Danish shipping giant Maersk, which is the world's biggest shipping company, is aiming to be carbon-neutral by 2050, according to a senior company executive. "We will have to find a different type of fuel or a different way to power our assets." Given a ship's operational lifespan (of around 20 to 25 years), the company will b looking for solutions now rather than later. "To reach the target by 2050, in the next 10 years we need some big breakthroughs," Toft was quoted as saying. But one possibe route to a zero carbon output will not considered: offsetting. "If you buy offsets, you are basically delaying the pain. What you are doing is buying yourself an excuse and hoping that the money you pay goes to good uses, but you are not tackling the issue at its core," he said.